I saw these on Pinterest and thought it was a great way to use-up some fabric and create something useful. I found the tutorial at Kleio’s Belly, and I bought the dishcloths at Marshall’s. Basically, you cut the dishcloth in half, fold the raw-edge pleats across so that the top width measures 6″, and then you stitch the towel into the prepared fabric topper. 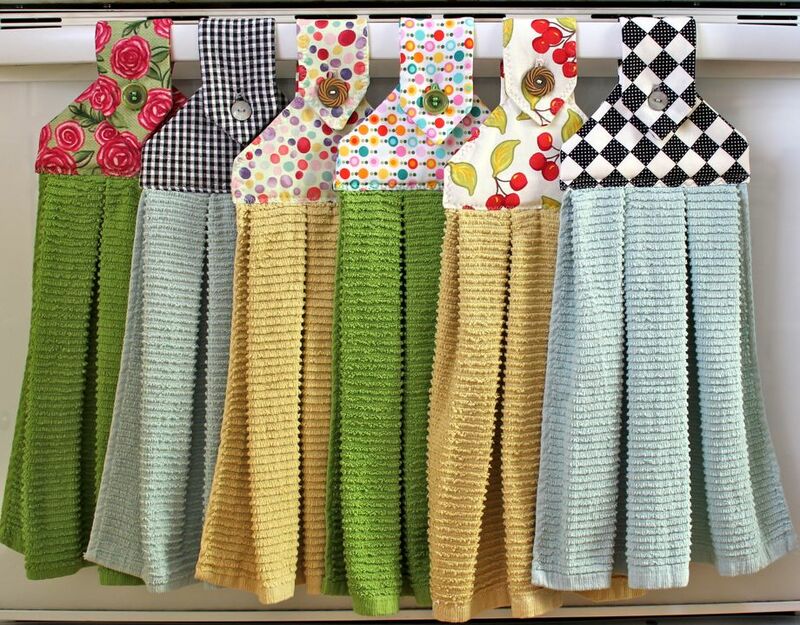 By cutting the towel in half, you can make two hanging dishtowels from each cloth. The tutorial gives you the pattern, and it’s very easy to follow. A bit granny chic? Maybe. But, who’s wiser than your granny?? Such a good idea, looks great !! These are just adorable! Nice job,love the fabrics!